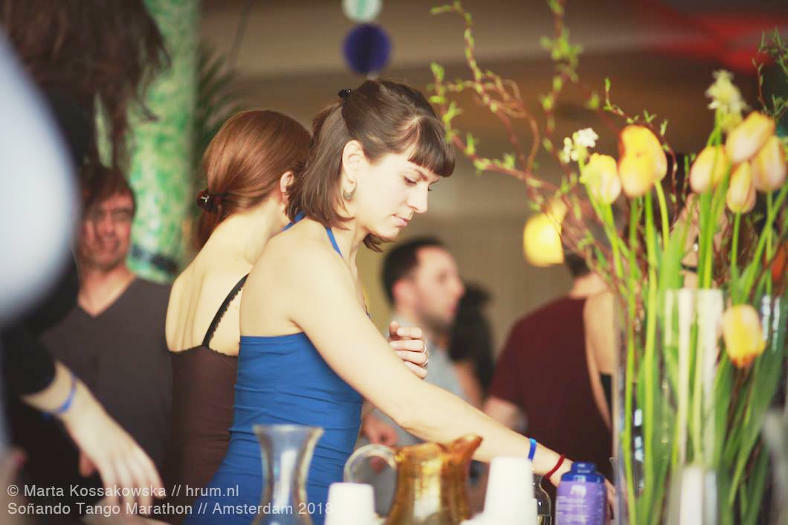 Takes place in a wonderful location at the waters of the IJ: the Kompaszaal. Respectful, warm, balanced between leaders and followers, nationalities and age groups. Bringing together friends old and new. Good DJ’s will be the heart, and great dancing in a relaxed atmosphere. We are looking forward to offer an event in a beautiful location; convenient times, good provisions, nice atmosphere, experienced international DJ’s with a ‘feel’ for the dancers. We are happy to welcome an international group of dancers, from all regions, with a nice quality of dance and social behavior. This will create a nice ronda and a weekend to remember! For this edition again we will rent a wooden dancefloor. He comes directly from Palermo, Italy. Being eclectic and dreamer, he is constantly inspired by his great sensitivity to the mood and atmosphere on the dance floor. Sergio’s DJ style is mainly traditional with a nice mix of the classics. He keeps the energy high with a nice blend of the 30s, 40s and 50s in traditional tandas with fun cortinas. After years of experience with tango festivals and marathons Sergio has acquired a deep knowledge of tango music. In order to create a special atmosphere at milongas, I put Tango-music from the '30s up to the '50s, selecting the sequence of tandas in such a way to lead the dancers through different musical moods (romantic, dramatic, rhythmic...), in this way filling the milonga with gradually changing emotions. This will make you feel the colors of tango! 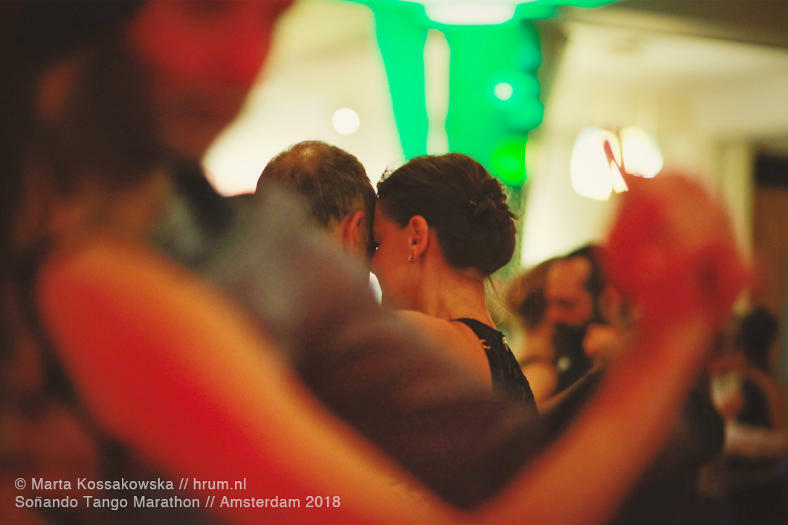 ;) For me the most important thing in DJing at a milonga is to see joy and pleasure on the faces of the dancers. In that moment, I am completely happy! As a term for describing me putting on music in Milongas I prefer “Musicalizador” than “DJ”, since I don’t mix music. Like every Musicalizador, my main concern is to match Tango Dancers’ needs, whatever they are. On the dance floor, and just there :-) Whether they need to warm up, to walk, to jump around, to rock, to cuddle, to relax, to chill out and so on. And like every Musicalizador, whether he/she likes it or not, I have a profile. Most of all I like lively, joyful and powerful music. My aim is to see people smiling, enjoying and having a blast. Living in Oporto, where she is the resident DJ at the emblematic weekly milonga ‘La Galeria Ideal’. Started dancing Tango in 2008 and to DJ since 2010, she loves to share the joy of this experience. Played at several known events like ‘La Cita’ (BG), ‘Tango Jam’ (DE), ‘The Big Pop’ (UK), ‘Belle Epoque’ (IT), ‘Milonga des 4 Saisons’ (FR), ‘Lisbon International Tango Festival’ (PT), ‘Tuga Tango Marathon’ (PT). Fashions come and go! At a DJ-set I try to catch the mood of the moment by observing the dancers and translate this feedback into the tanda. Diversity and changing impulses are the keywords. I like to think of colours and shapes like when you paint a picture. You start at a certain point and let the whole thing evolve. Maybe you tell a story, maybe you are abstract but the most important is that you express something through the music you play and that you make the people dance! Marc de Padua Hussner (Lisbon, Portugal) & Milagrosa Vigdorova (Moscow, Russia) are two amazing dancers who have been working in tango for many years separately and decided to unite as a couple last August. In this short period dancing together they have created quite a buzz in Europe performing in the most important tango scenes &dash; Moscow, Paris, Berlin, Milan, Turin, and now Amsterdam. Both are passionate about musicality and connection and thats all that matters. 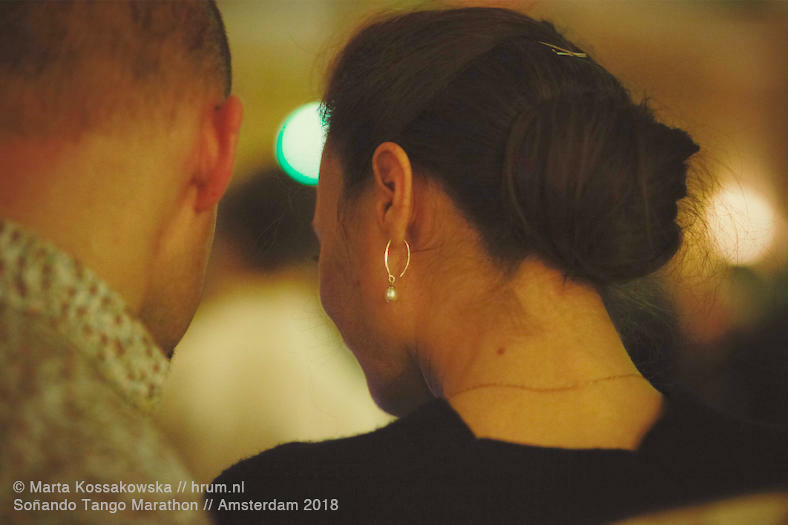 What is included in the marathon package? The organization wants to create the conditions for a good event with happy participants from all regions of our tango world. Because of this, the audience will be selected. The moment of registration is not the first condition. There will be balance between leaders-followers, nationalities and regions. Performance by Marc & Mila! Lloyd Hotel & Cultural Embassy in Amsterdam is the first 1-to-5 star design hotel in the world. It is created as a home for travelers of all stripes. Located in a transformed historic building Lloyd Hotel is an icon of Dutch design. More than 50 designers and artists participate in the hotel. The Cultural Embassy presents ongoing exhibitions, talks and events every month, available to all guests. Lloyd Hotel is at 5 minutes walking distance to the marathon venue. You can reach to the hotel from Amsterdam Central Station in 15 minutes using public transportation or a 30 minutes walk. The organization will share a 10% discount code for Lloyd Hotel in the acceptance e-mail. The promotion is only for "best available refundable price", so if you already booked with another discount it cannot be applied. For more than 85 years, Stayokay has offered its local and international guests the ideal starting point for new and valuable experiences. Stayokay offers no unnecessary luxury, but a well-catered stay in informal surroundings. Stayokay Hostel Amsterdam Zeeburg is at 10 minutes biking distance to the marathon venue. (Stayokay supplies the bikes.) Or you can use bus 65 which also takes 10 minutes. From Amsterdam Central Station, you can reach the hostel using public transportation in 20 minutes. For Airbnb, you can check hosts around Kompaszaal. You can further consider the following accommodation options &dash; where prices vary between €50-€90 per room/bed per night &dash; at your convenience. Note that, with the aid of public transportation, you can increase your options for accommodation. Kompaszaal, the venue for the event, is close to several public transportation stops, as in, tram 7 and buses 48 and 65; and the night bus 759. You can find even more options for public transportation with the application 9292.nl, which is a daily source of travel information for public transport for all kinds of passengers.